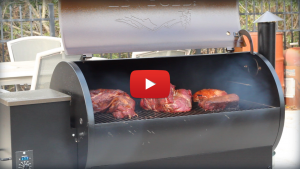 I’ve been considering a Traeger vs. a RecTec and trying to make an informed decision. I value your insight and wondered if you had seen any issue with temperature control on your Traeger. I’ve heard stories about it not being consistent but know the company has been going through a number of changes with a CEO – one of them to address some drop in quality. I’d appreciate you sharing what you’ve experienced thus far with keeping a consistent temp. We’re a family who loves eating grilled foods. My sister sent me this article so I can help decide as to what kind of grill she’d buy. I found it interesting when you said that pellet grill is a versatile one. So, most probably I’d suggest her this.